In increasingly human dominated landscapes anthropogenic disturbance and mortality threatens wildlife populations from increasing isolation and subsequent interference with important biological processes such as dispersal and natural gene flow. This presentation investigates the importance of connectivity, and identification of landscapes that can be deemed "appropriate biological units. Satellite data in both the form of habitat mapping and collar data acquisition can facilitate species habitat preference models that can lead to informed decisions and species specific landscape strategies. Across such landscapes wide ranging species are often the most vulnerable to habitat fragmentation, and this presentation will demonstrate the value of integrated species modelling using data from the wolf in Canada. 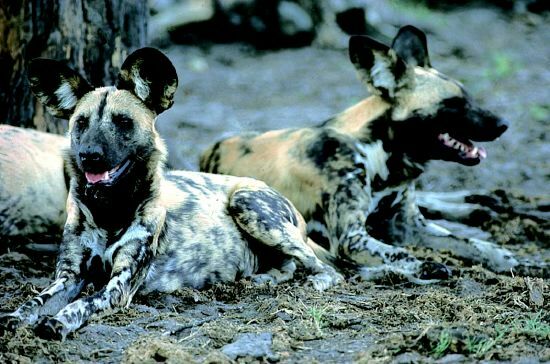 It will then both share data on the painted dog, and a new initiative to meaningfully use collars as a conservation tool. These data will reveal unlikely habitat preference and highlight how both collars and these data can lead to the facilitation of a landscape strategy for this and other species.